This is simply to introduce myself and Dark Holler Design Works to the Shave Nook community. Although I've been a member here since 2012, for reasons that don't matter I was previously much more active on the Badger & Blade site. 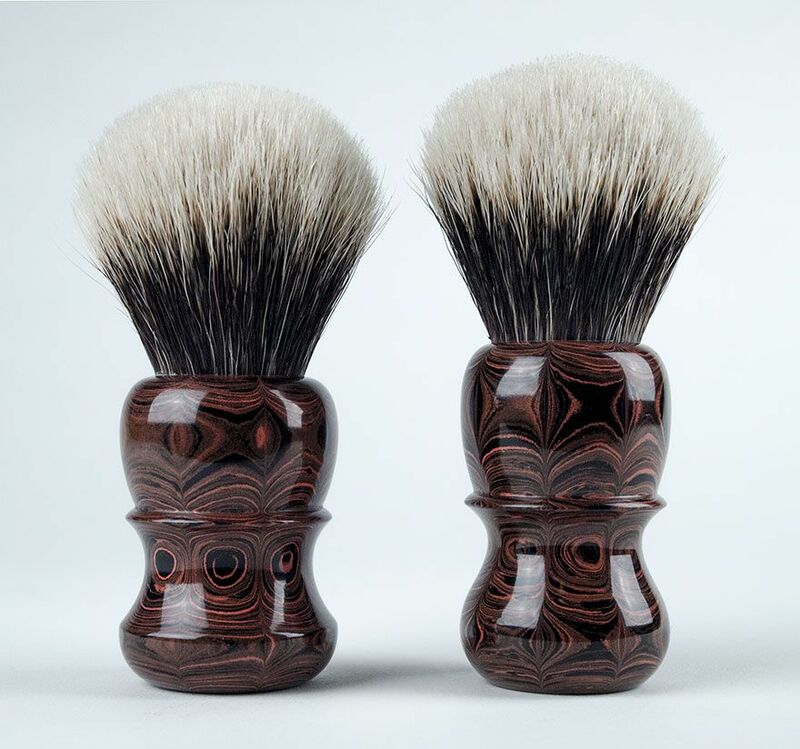 About exactly two years ago (i.e., early January 2013), a fascination with shaving brushes moved me to try my hand at designing one. A couple months later, shortly after accepting a Steward role on B&B, I got the idea to propose a group buy of Morris & Forndran brushes incorporating the design I’d developed (which was heavily influenced by a few of my then and still favorite brushes). That project turned out to be successful, and at some point along the way, the M&F group-buy brush came to be known as the Chief. 2013 was a sabbatical year for me, which I purposely took as a break from a 30-year career in and around the pharmaceutical and biotechnology industries. It might sound crazy, but the M&F Group Buy turned out to be the most fun and satisfying project I’d been involved with for time out of mind. However, it also left me with an itch: I wanted to design more handles with the benefit of fast prototyping capability. I considered getting a 3D printer, but decided on a CNC lathe instead. On January 3 of last year my son and I made a road trip to La Crosse, WI to pick up a suitable machine I’d found. We ended up hauling back three. Long story short, I wasn’t able to make any hands-on progress with the lathes until May. After a lot of head-banging, I managed to turn a crude approximation of the Chief from a piece of wood dowel in June. First success in turning an acrylic handle based on a new design followed in early July. Lee Sabini and I became friends over the course of the M&F Group Buy. My wife and I met him and his wife during a trip to the UK in October of 2013. Around the time I bought the lathes, he agreed to provide me with some knots if I ever figured out how to make the machines work. I suspect at the time he didn't believe there was much likelihood of that happening. But after I posted photos of handles my son Cody and I turned and finished in July and August, Lee proposed that we collaborate to produce brushes made with our handles and his knots. 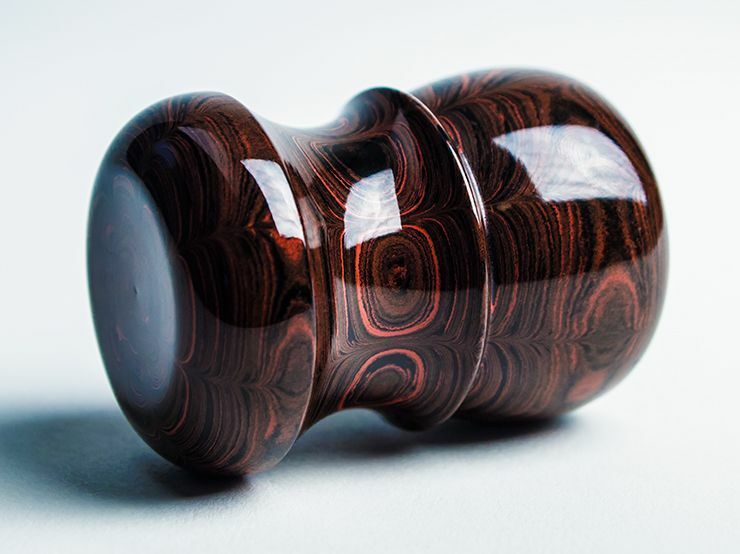 In mid-October, we shipped over a small batch of handles for Lee to finish and knot. Working out the labeling took longer than expected. First sales of Paladin brushes to a handful of buyers in England, Spain, Portugal, and Sweden were transacted over the past couple weeks. Other than a few ebonite-handled brushes that we’re not offering for sale yet, we haven’t received any of the first-batch brushes back in Kansas City yet. It could be a few more weeks before we do. In any case, the first-batch is already over-subscribed. But we continue to make more handles, and completed brushes will follow. We sincerely appreciate the interest many -- and the patience all -- have shown so far. I’ll follow this up soon with a post including additional details and photos. It’s great to be accepted as an Artisan on The Shave Nook. I look forward to contributing more in support of this community. We look forward to reading and seeing more ..
Hi Ken and welcome! 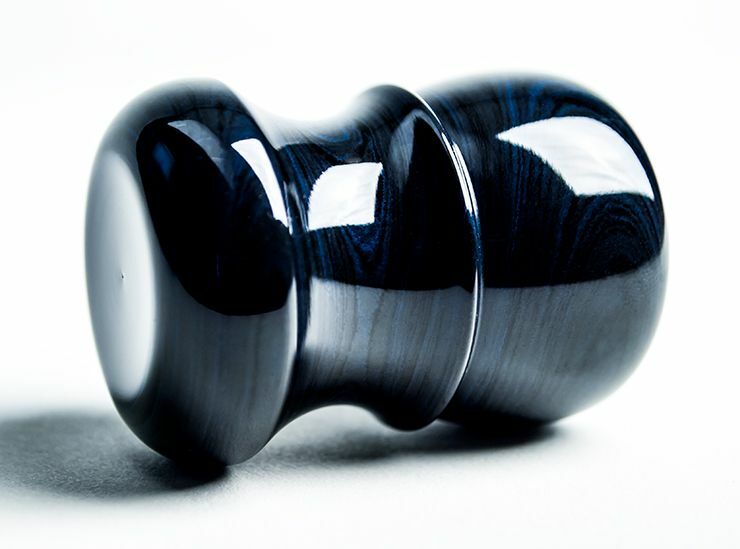 I know there has been much discussion about Dark Holler on our fora, but if you don't mind, can you elaborate a bit on using ebonite? How does it feel in the hand and would you compare it to another material? Congratulations on finding such an exciting venture! I can't wait until those beauties get back from the UK! As impressed as I am with the pictures I've seen of the initial batch I am even more excited to see what you bring in the future. I would be all in on a completely USA made, handmade (knot and handle) brush pretty much regardless of cost. I get goosebumps just thinking of the possibilities this new venture may bring! Congrats and good luck again Ken! Welcome to the Nook. Can't wait to read and see more of what you have in store for us. Glad to have you on board as an Artisan with us. 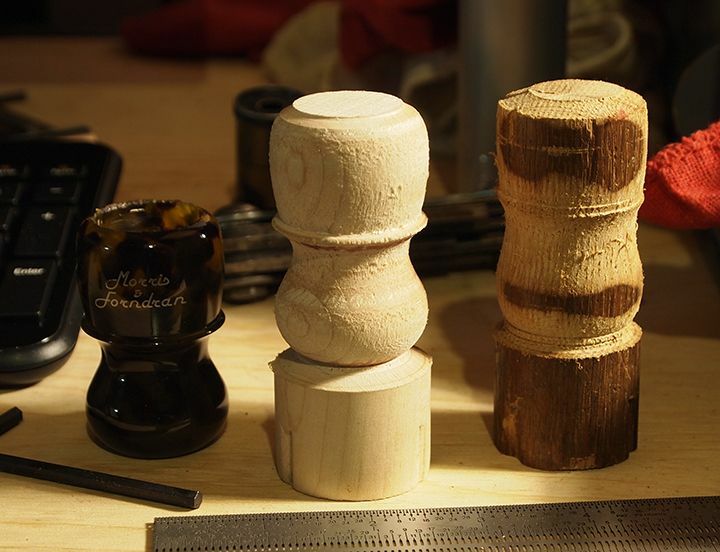 My first attempt to turn a handle on a CNC lathe was on Father's Day of last year (2014). The result appears at right in the photo immediately below. Due to off-set issues I hadn't sorted yet, it just barely suggests a Chief. But the next day yielded a break-through, and with some help from my son I turned the piece at center. Next are screenshots of a section of G-code for the Chief and a backplot of the full program. 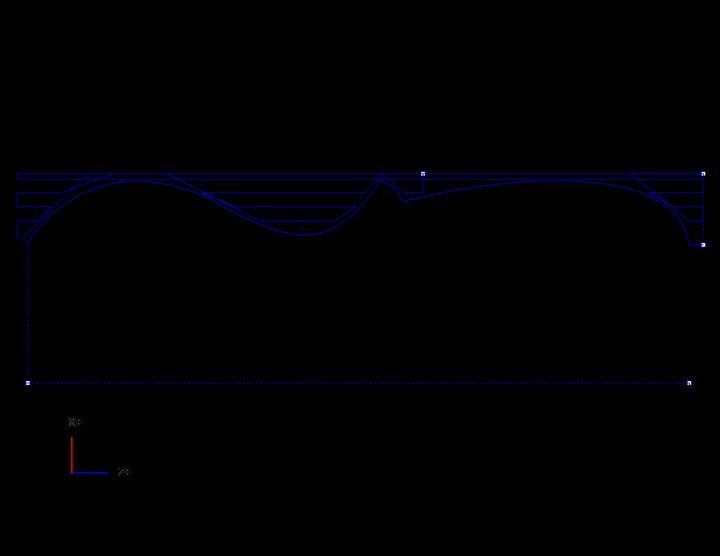 We've since re-written it from scratch to incorporate some design modifications and improve surface-finish off the lathe. Below is an early, hand-polished, PK-47 prototype. I didn't intend for the photo to be a self-portrait. This is the one that got Lee's attention. Welcome, Ken, and I wish you much success! Really great to see you here Ken. Beautiful brushes and a gent to match. It's a pleasure to own some of your creations. I love the Chief by MF, so cannot wait to see what you come up with! The very! best of luck in your *newish* venture. Good to see you here Ken. And thanks for your work to bring additional fine brushes to availability of us afflicted with SBAD. (01-05-2015, 10:04 AM)jpakstis Wrote: Hi Ken and welcome! 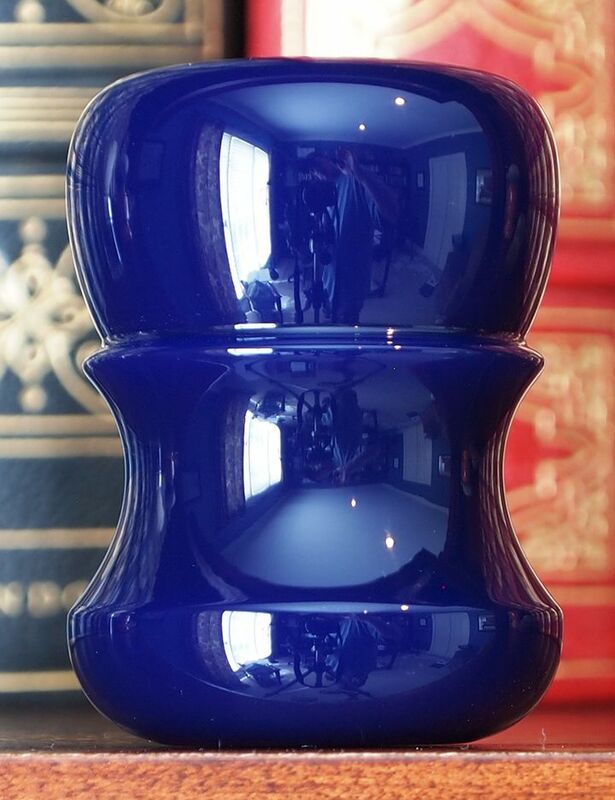 I know there has been much discussion about Dark Holler on our fora, but if you don't mind, can you elaborate a bit on using ebonite? How does it feel in the hand and would you compare it to another material? 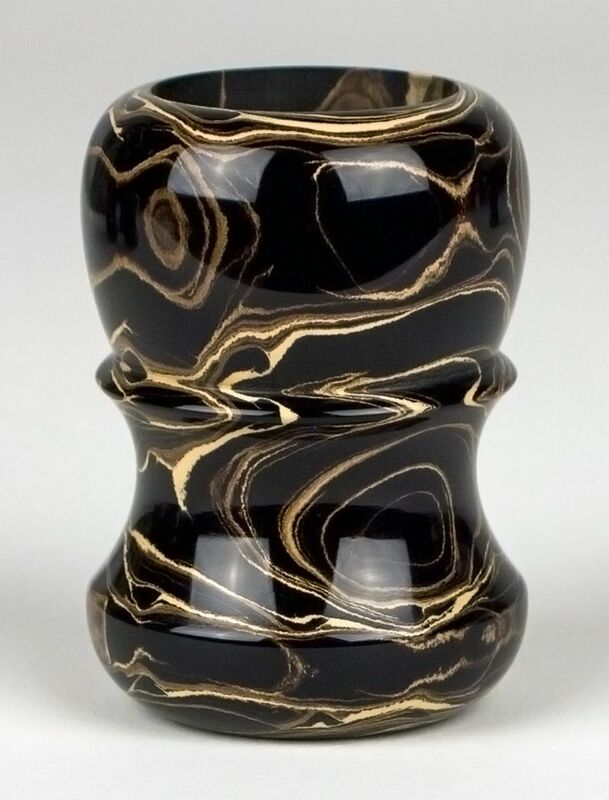 My son and I were researching to see what vintage materials we might be able to source for use in turning handles and came across references to ebonite (aka "Vulcanite" or "hardened rubber"). The first ebonite rod we obtained was produced in Japan. We also import rod from Germany. The stuff is magic. There's just something about it. That's all. I really don't know how to describe it other than to say it seems to me to possess subtly warmer tactile properties. 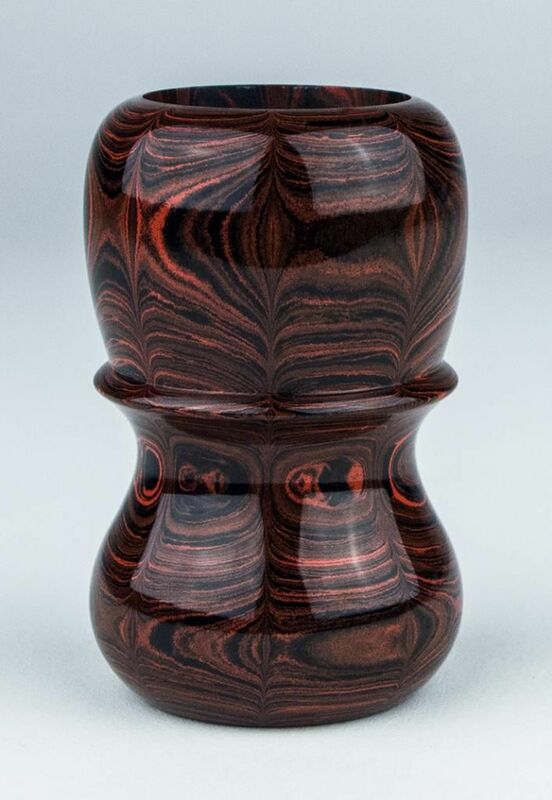 When I first posted photos of ebonite handles on B&B, a former Steward in the Shaving Brushes Forum expressed some concerns about the material's suitability for shaving brush handles, notwithstanding hardened rubber's use by companies such as Rubberset. There is apparently "common knowledge" in the fountain pen community that ebonite can react in undesirable ways to prolonged UV light exposure and/or hot water. I've since been told the the problems encountered with hot water were probably a result of soaking at very high temperatures to dissolve dried ink. But I really don't know. In any case, we aren't going to offer ebonite-handled brushes for sale until we've gained some more experience. I've used nothing else over the past several weeks. I think I might not use anything else through all of this year. Whatever the outcome, we'll continue to make brushes with ebonite handles for ourselves because we love them. 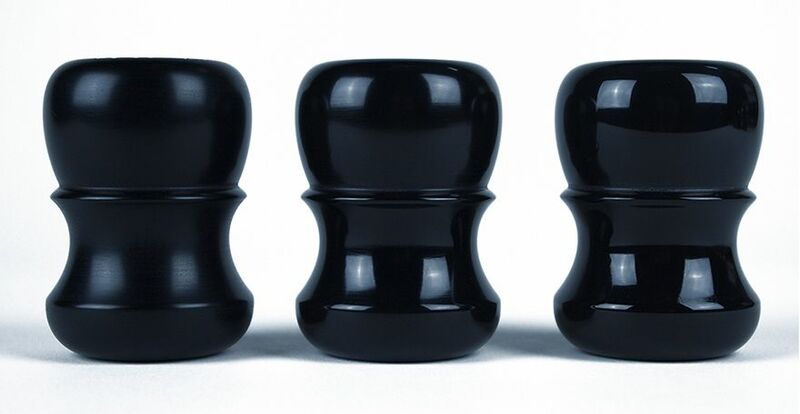 Incidentally, other products made from ebonite include bowling balls and saxophone mouthpieces (some of which fetch above $600). If and when we do sell ebonite-handled brushes, they'll be priced substantially higher than brushes with handles turned from more standard materials. Ebonite is more expensive to source, it chews up cutting tools like potato chips, and it's very time-consuming for us to polish due in large part to its hardness. Glad to see you sharing these photos here. Best of luck with the endeavor! 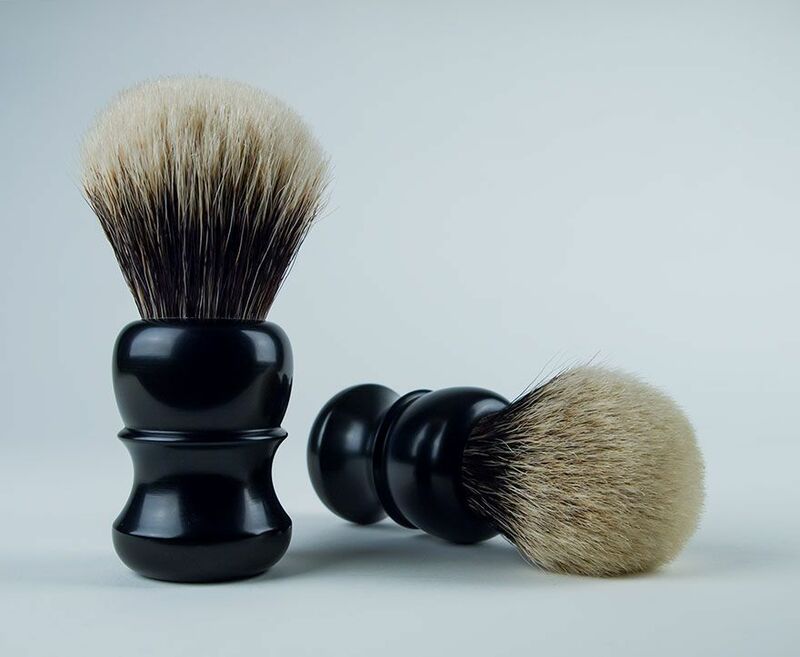 I wish you a lot of success, and eagerly anticipate your first batch of vulcanite brushes... They'll be a new experience for most, and I'm personally looking forward to trying them. Ken's handles are simply fantastic. The fiit and feel are just plain magical. I was lucky with this one. (01-05-2015, 12:21 PM)AngryGreek Wrote: I was lucky with this one. It's the same handle shown at the bottom of the OP in this thread, and yours is unquestionably the first brush made with a Dark Holler handle to be released into the wild. When I was active on B&B, I always enjoyed your posts and your comments convinced me to purchase a couple DE's. Now you have to come over to TSN with these beautiful handles and brushes. Some enabler! It would be an honor to own one someday. 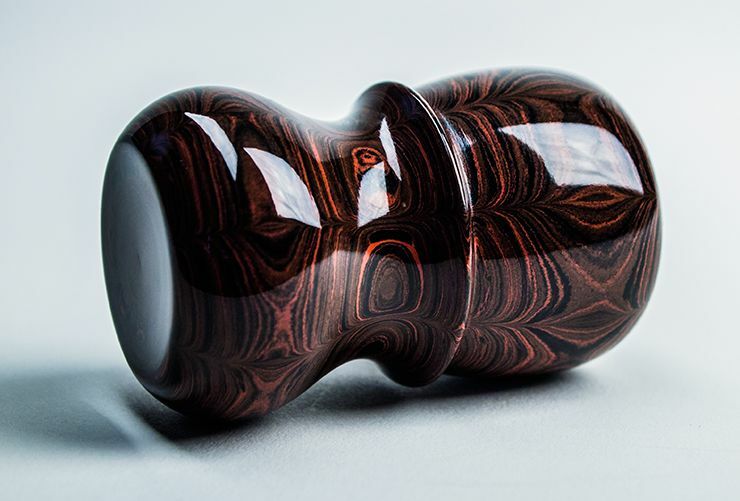 It's the same handle shown at the bottom of the OP in this thread, and yours is unquestionably the first brush made with a Dark Holler handle to be released into the wild . I'm honored and absolutely love this brush. From what you say you've made slight modifications to it. Didn't think it could be any more comfortable. I will hopefully be getting more once the funds come in and can get a hold of Lee.